Chairman Goodlatte, Ranking Member Conyers, and distinguished members of the Committee on the Judiciary, thank you for the opportunity to submit this Statement for the Record on this hearing, “Exploring Alternative Solutions on the Internet Sales Tax Issue.” Our company, FedTax, is the proud inventor and operator of TaxCloud, a free online sales tax compliance service now being used by approximately 5,000 online retailers of all sizes. 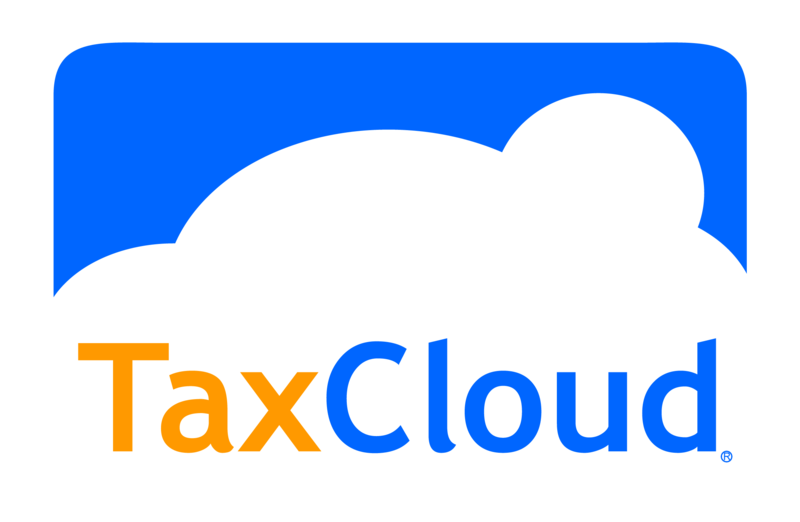 TaxCloud is available at no cost to retailers because we are a Certified Service Provider (CSP) for the twenty-four Member States of the Streamlined Sales and Use Tax Agreement (SSUTA). Our company was founded in 2008 by technology executives with decades of experience building some of the most recognizable brands in e-commerce. At our previous companies we experienced firsthand how difficult sales tax compliance can be, and we made it our mission to make sales tax compliance easy for businesses and more efficient for state and local governments. As we have grown, our executive team has expanded to include payments industry executives as well as nationally recognized sales tax and public policy experts. In his opening remarks, Chairman Goodlatte named several technology-related fears regarding the Marketplace Fairness Act that we are uniquely qualified to address: technical capabilities of the prescribed free software, integration costs related to the free software, concerns for the direct mail industry, and concerns related to additional audit exposure. We agree that Chairman Goodlatte’s stated concerns are important, and we are convinced that they can (and should) be addressed. This testimony is not based upon hypothetical notions or unproven theories. Rather, it is informed by our direct experience as a SSUTA CSP since 2010. A brief background: SSUTA’s goal is to minimize or eliminate the burdens of sales tax compliance for businesses. Since its inception in 1999, it has sought input from state and local governments as well as the business community through regularly scheduled public meetings. During its first few years, SSUTA stakeholders publicly debated many different sales tax modernization and simplification schemes (a subset of which have been proposed before the committee today). Ultimately, they agreed on an approach that relied upon modern technologies to accommodate the many nuances and variations in sales tax law across state and local governments. Over the next few years, the SSUTA states developed the Certified Service Provider program, including the policies, practices, and procedures to be employed by each of the participating states to test and verify that a CSP candidate’s software and/or service adhered not only to SSUTA’s rules (including sourcing, taxability, rounding rules, etc.) but also to each state’s statutes. Today, six companies (including ours) have achieved CSP designation. It should also be noted that achieving CSP designation is not a one-time event but an ongoing process; our systems are regularly tested, verified, and audited by the states to maintain our certified status. During this time, SSUTA stakeholders also worked with the tax technology group TIGERS to develop standard formats for states to provide open source sales tax rate and jurisdictional boundary data for use by the business community. The work with TIGERS also included the specification and adoption of a Simplified Electronic Return (SER), based upon the widely used e-file format. The current SSUTA Member States represent more than half of the states with sales and use tax laws, including Arkansas, Georgia, Indiana, Iowa, Kansas, Kentucky, Michigan, Minnesota, Nebraska, Nevada, New Jersey, North Carolina, North Dakota, Ohio, Oklahoma, Rhode Island, South Dakota, Tennessee, Utah, Vermont, Washington, West Virginia, Wisconsin, and Wyoming. Some have suggested that systems capable of keeping track of the sales tax laws of over 9,600 jurisdictions simply do not exist, or that the technologies necessary to achieve compliance would be prohibitively costly for small businesses. TaxCloud’s direct work with taxpayers refutes these assertions. It doesn’t matter if there are 9,600 or 96,000 jurisdictions; modern e-commerce systems are adept at easily managing such diversity, as Joe Crosby noted in his testimony before the committee. Businesses do not need to spend enormous quantities of time or resources to achieve compliance. Even with free software already available, opponents continue to complain that businesses will be burdened with the costs of integrating such software into their existing systems. This line of argument ignores the reality that all but the very largest retailers (and a few retailers who rely on legacy systems) rely upon pre-written software and/or online hosted platforms for e-commerce and order management. Retailers rely upon these systems to avoid the costs of developing, managing, and maintaining such systems on their own, costs that are magnified by the changing nature of e-commerce, which is constantly responding to evolving cyber-crime threats, payments and security industry best-practices, and, yes, even legislative requirements. When their retailer clients need to collect sales tax, platform vendors will provide ways for them to do so, embedded within the platforms that retailers already use. E-commerce platform vendors are intensely competitive and focused; they take pride in not only complying with evolving requirements but often surpassing them, occasionally with stunning results. For example, much of the cloud computing infrastructure now transforming every corner of the technology sector can be traced to several of the largest e-commerce companies adapting to comply with the Sarbanes Oxley Act of 2002. There is no reason to believe these e-commerce platform vendors will not respond to action by Congress in an equally competitive manner to provide sales tax management services for their clients. In fact, this process is already underway—almost all of the most widely used e-commerce and order management platforms have already adopted and integrated with one or more CSPs. Some direct mail businesses are concerned that they could be required to include within their mail order catalogs a very long insert with every possible sales tax rate in the country. But mail order catalogs are designed to be mailed to their customers, so each customer’s mailing address can be harnessed to solve this problem. Just as the catalog vendor prints each customer’s address on each catalog, there is no reason they couldn’t print the effective sales tax rate for that specific address right on the mailing label! Leveraging the address block for other customer-specific data is a technique routinely practiced in the direct mail industry today. Most mail order catalogs already print customer-specific Customer Reference or Quick Service Numbers (usually 5 to 9 characters), which the customer conveys to a sales agent when placing a phone order or enters on the website when placing an online order. Furthermore, most catalog retailers encourage their customers to place their orders online or by phone; many don’t even offer paper ordering forms any longer. Of course, once a customer “channel shifts” from the printed catalog to an online storefront or telephone order, both of these ordering systems can rely upon free software and services provided by the states to determine the correct sales tax rates and even apply any available item-level exemptions. If a catalog exemption is to be included, it should be carefully crafted so as not to favor catalog retailers over other remote retailers (or local retailers). Another concern is related to the threat of remote state audits. Under the current CSP system, CSPs, not their retailers, are responsible for responding to audit inquiries. In most cases the CSP already has all of the information necessary to respond to such audit requests, without any effort by the retailer. As this committee considers alternatives to deal with audit concerns, one option is to rely upon the integrity of the states’ CSP certification process and shield any retailer relying upon the services of a CSP from remote state audits. FedTax believes that the central tenet of any internet sales tax legislation must be a federal framework based upon the current sales tax structure. Anything else would cause an immense disruption to businesses across the nation. Some witnesses have asserted that SSUTA’s simplifications are insufficient to remove perceived compliance burdens. We would note that the other solutions that were proposed, such as origin sourcing or an “IFTA-like” home-base proposal, create compliance burdens of their own—and if they choose these options, states would be jettisoning a fully developed, functioning system that has been eliminating compliance burdens for 15 years in favor of an untested, hypothetical system that might take years to create and that businesses and consumers have no experience using. Disruption of existing business processes by changing to a new system will damage the economy and cause needless delays in solving this pressing problem. Certified systems must be allowed to file sales tax returns and remit sales tax proceeds on behalf of remote retailers. Certification is necessary for states to have the certainty necessary to grant comprehensive liability relief for remote retailers relying upon such systems. States must be required to certify multiple providers to ensure an open and free market. Providers of certified systems must be compensated by the certifying state to eliminate costs for remote retailers. Such compensation should be paid by the states from the remotely collected sales tax proceeds. Retailers’ reimbursement for expenses related to integration and initial setup costs should be paid by the states from the remotely collected sales tax proceeds. States must provide publicly available electronic (machine-readable) data sources for sales and use tax rates, jurisdictional boundaries, and taxability of goods and services. These data sources must be available for all businesses to rely upon, even those not using a certified system. States must allow certified systems to automatically register businesses in their state. States must support a central registration process to allow remote retailers to register easily and quickly in all states. States must make a single statewide agency responsible for accepting sales tax returns and sales tax proceeds. Recognizing the multichannel nature of modern retail, states must be able to accept multiple (nonduplicative) sales tax returns, possibly one per channel. Destination sourcing must be required for interstate sales. Destination-based sourcing returns the tax collected to the customer’s tax jurisdiction. There must be limitations on audits, such as restricting audits to sellers above a certain threshold, or a consolidated audit, or even exempting retailers that use a Certified Service Providers from audits. The beauty of this proposal is that this system is in already in place today and it is working. The SSUTA system currently provides proven technology solutions for the thousands of retailers that are already collecting today. Some of the other ideas that have been proposed at the hearing have not been tested and are not currently in use. Forcing states and businesses across the country to adopt radically different systems will create disruption and unnecessary expense. Why should Congress discard the Streamlined Sales Tax Governing Board, which has been perfected over several years, and replace it with a different structure? A simpler answer would be to give collection authority to all states that meet congressionally mandated minimum simplification requirements and require them to provide technology as listed above to reduce compliance burdens. We know what works. It is not a single rate. It is not origin sourcing, or any of the other alternatives presented at the hearing. They will simply muddle tax reporting further. Inaction by Congress will encourage states to continue attempts to circumvent Quill and find solutions that may or may not benefit the retail community and may or may not further simplification and uniformity. Origin sourcing. This scheme shortchanges state and local governments by sending their consumers’ tax dollars to other states and countries. It also would turn jurisdictions with no sales tax into e-commerce havens. Requiring reporting instead of remittance. This scheme is burdensome for businesses and would require entirely new systems at revenue departments to process and respond to such reports. This is a highly inefficient way to collect tax that is owed. Reporting remote sales to a clearinghouse for distribution to states. This increases administrative expenses and replaces one bureaucracy with another—such as creating an IFTA for sales tax. Granting states the power to exclude noncompliant retailers rather than having them collect sales tax. States have enough difficulty tracking down in-state sellers that do not collect sales tax; the process of identifying remote sellers that aren’t collecting and then engaging in a legal process to bar them from selling into the state, is unduly lengthy and litigious, not to mention very unfriendly to businesses. Dramatically changing the way sales tax works is not a solution. It would be a disruption for both businesses and governments and carries unacceptable costs for both. The issues cited as barriers for business to collecting—fear of audits by states where the retailer has no locations, exorbitant integration costs for “free” software, catalog sellers, and data privacy—are all easily resolved by legislation. For example, limitations on the frequency of audits and dollar thresholds can reduce audit burden or risk. Audits of remote sellers could be performed by the seller’s home state or by a multistate compact. Legislation should clarify that integration costs should be paid by the states. The simplest, least expensive, and easiest solution is to require remote retailers to collect the sales tax at the destination and provide the technology to do so at no cost. We urge the committee to draft a bill reflecting these core concepts and report it favorably to the House of Representatives for action in this session of Congress. Your action would reward the years of effort and cooperation between businesses and states to modernize and simplify sales tax collection and administration while eliminating tax compliance burdens. Mr. Chairman, thank you for the opportunity to submit this Statement for the Record on this important issue. The Tax Information Interchange Task Group of ANSI ASC X12 was formed in 1991, and initially worked with traditional EDI formats. The Task Group produced X12 standard Transaction Set 813, the generic EDI tax filing, which is still in use today in the Motor Fuel and Sales Tax areas. TIGERS began working with XML in December 2000, and issued its first production schema set in 2003.The task group became “TIGERS” in December 1994, with the realization that technical standards were not enough – states and their partners needed guidance and assistance in turning the standards into actively supported electronic commerce programs. The group broadened its scope to include peer reviews of state technical implementations and mappings, guidance in technical infrastructure for e-commerce, and model documentation for the business rules enforced by the state programs. FYI: For those of you that didn’t already see it, the following Op-Ed piece by our CEO ran in Politico last week. Online retailers are a tech-savvy bunch. They seem to know what we want, when we want it—and how to get it to us as quickly as possible. But a few of the same companies that have figured out how to target our shopping habits and ship products of all shapes and sizes around the country are now claiming that collecting sales tax is too hard. These critics of e-fairness legislation have suggested that private-sector software already widely available for collecting sales tax is incomplete, complicated, and expensive. As an e-commerce entrepreneur for almost two decades, and as cofounder and CEO of TaxCloud, one of several online sales tax management services, I’d like to offer the truth about online sales tax. The same technologies that enable smartphones also make sales tax calculation quick and easy: At TaxCloud, our software works directly with e-commerce platforms to calculate sales tax during each customer’s checkout. Everything needed to figure out the correct tax rate is already present during an online sale: the purchaser’s address, the sales price, and the type of item being purchased. That information is used to calculate the appropriate sales tax in a fraction of a second, just like shipping charges. Don’t be fooled—calculating sales tax is not laborious or burdensome. It’s really quite simple. Collecting sales tax is not very expensive, either: Software and services that manage sales tax collection aren’t hard to find or expensive; in fact, in some states the service is free. Opponents of an e-fairness solution have made numerous misleading statements about the costs of software, presumably to preserve the preferential treatment they currently enjoy in the tax code. For instance, while publicly railing against the expense associated with online sales tax, eBay actually features a sales tax utility on its own website that costs $15 per month. And many third-party online storefronts or marketplaces can handle sales tax collection for their merchants for a very small fee. The cost of software is simply not an impediment for small online sellers. Set it and forget it—why software makes it easy: It’s true that any sales tax system will need to know the type of item being purchased in order to determine if it’s tax-exempt. It’s important to remember that bricks-and-mortar sellers have always been required to assign tax classifications to their wares—this is not a new concept or obligation. And here again, the rhetoric does not match reality. First, most small online stores tend to be specialists—they’re more likely to be selling one class of products than a wide range—and if that’s the case, all a seller needs to do is set their entire store to one tax category. Click—done. Second, even if a small online retailer sells many kinds of items, they would only need to assign categories to tax-exempt items, a small subset of most stores’ inventories. Click, click—done. E-commerce platforms are designed to assign large groups of items to tax categories, so no online seller will spend their time worrying about whether an item is tax-exempt or not. The bottom line is that once these categories are set, online retailers can focus on serving their customers—not on tax collection. Tax returns aren’t filed by horse and buggy anymore. Despite the oft-repeated claim that compiling and filing sales tax returns with multiple states will create huge burdens and audit risks, the fact is that all of the existing sales tax management services can take this task off an online retailer’s hands entirely. Agreements with individual states let these services handle filing returns and remitting tax proceeds, without any effort from the retailer themselves. Most of these services also store all returns associated with your account, so accessing past records is a breeze. Twenty years ago, opponents of remote or online sales tax collection were correct—collecting sales tax was rather laborious and time-consuming. But the same burst in technology that now allows consumers to shop anywhere, anytime, and have whatever they want delivered to their door in under twenty-four hours, also makes charging sales tax remarkably simple. For online stores, collecting sales tax is easier than configuring shipping charges. “Doom and gloom” predictions about the technology are misplaced—and any suggestion that sales tax management systems don’t already exist is simply wrong. If Congress believes that online retailers should be exempt from the same laws and tax policies that every other business complies with, that is of course their right. But they shouldn’t make that determination based on the misguided and misleading rhetoric spun by those who stand to benefit from special treatment. And if Congress chooses to end the current disparity and treat all retailers equally, rest assured that the free market has already developed the tools and software necessary for both online sellers and brick-and-mortar retailers to thrive and grow in the decades ahead. First, let’s be clear: It would never mean a sales tax return or an audit for each jurisdiction. The Marketplace Fairness Act says that there has to be just one central authority in each state that handles sales tax returns and audits. So no matter how many tax jurisdictions are in a state, there’s just one return to file, and if a retailer is audited, there’s just one audit from the state. And retailers who use state-certified sales tax management services don’t need to worry about audits in general—but more on that in a moment. So what about sales tax rates, which can vary by jurisdiction? The good news there is that the Marketplace Fairness Act requires states to provide sales tax management software or services (such as TaxCloud) for free. These programs check and update rates and product definitions for every tax jurisdiction, and it all happens behind the scenes, so sellers don’t need to worry it. In the end, for online sellers, collecting sales tax is much like handling shipping. There’s a program or service to set up with the online store, and then the program handles everything—no matter how many tax jurisdictions there are. Back to audits: When retailers use sales tax management programs from state-approved Certified Service Providers (CSPs), they never have to host an audit. The CSP deals with the state instead, so the retailer doesn’t need to worry about dealing with state officials and coming up with transaction records. Rates, audits, returns, the number of tax jurisdictions—with sales tax management services, retailers don’t need to worry about any of them. It’s all taken care of. You are currently browsing the archives for the Technologies category.